During the 19th and 20th centuries, many of the world’s largest and oldest tress were cut down for their lumber. Some of these coast redwoods were 3,000 years old and measured 35 feet in diameter. Today, giant stumps of these ancient redwoods dot the landscape from Oregon to northern California and are a remnant of the old-growth forest that once stretched across much of the Pacific Northwest. An organization called the Archangel Ancient Tree Archive is dedicated to reestablishing ancient redwood forests to help combat climate change. 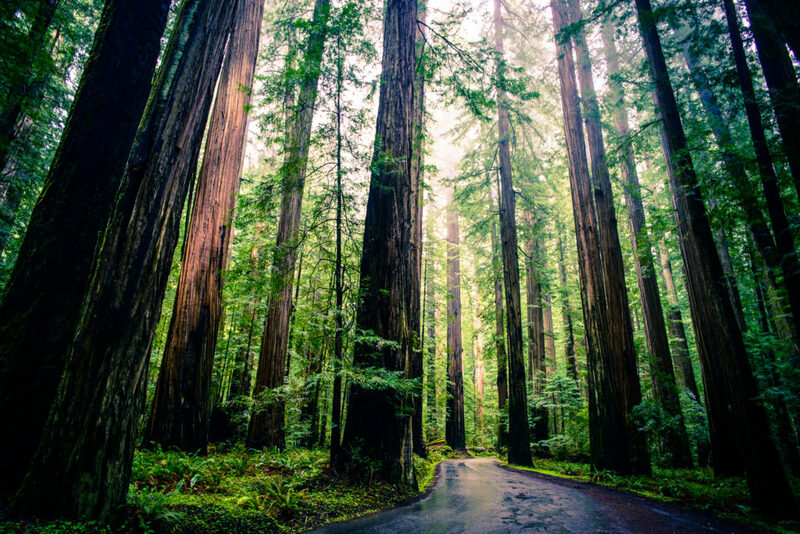 Coastal redwoods are not only huge but can grow an average of 10 feet a year. One of these enormous trees can sequester 250 tons of carbon dioxide over its lifetime, more than 200 times the amount for an average tree. While many experts thought that the giant stumps were lifeless, arborists at Archangel collected DNA from the stumps of five giant coast redwoods, all larger than the largest tree living today. They then used this genetic material to grow dozens of saplings, which are clones of the ancient trees, in a process that takes about two-and-a-half years. To date, the Archangel Ancient Tree Archive has planted nearly 100 of these saplings in the Eden Project garden in Cornwall, England, a couple of hundred in Oregon, and most recently, has planted 75 in the Presidio National Park in San Francisco. According to arborists at the nonprofit organization, these saplings have extraordinary potential to purify our air, water, and soil for generations to come. Their hopes are that the new San Francisco ‘super grove’ will be allowed to grow unmolested by manmade or natural disasters and thus propagate forever. Photo, posted April 8, 2013, courtesy of Michael Balint via Flickr.